The Radio Equalizer: Brian Maloney: MSNBC Talker: What If Rush Killed That Cop? Spending much of the week voicing rage (!!!!!!) and anger (!!!!!!) over the execution of Georgia death row inmate Troy Davis, libtalkers have had their Deflect-O-matic machines set to full power. Draining the grid even more was Al Sharpton, who in recent days has hardly discussed anything else. Along with guests including MSNBC's Melissa Harris-Perry, Sharpton played the race card as only he can, shifting blame away from the cop-killing Davis. Harris-Perry devoted her time to finding the real killers, at least in theory. The frequent Rachel Maddow Show fill-in host wondered if a jury would be so quick to convict Rush Limbaugh if he were to kill a cop. 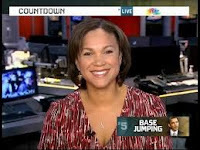 MELISSA HARRIS-PERRY (49:55): We know that race has a huge impact on the likelihood of someone ending up on death row. And again more evidence of why it’s appalling why it is unacceptable and also look we don’t have to ask whether or not what if Rush Limbaugh committed this crime. Yu could ask what if Casey Anthony committed this crime. What if a you know um beautiful young white woman stood accused of killing someone and although there was no physical evidence, there was a great deal of circumstantial evidence? We have the answer to that. That beautiful young woman (Casey Anthony) went free. Does she really believe jurors would vote to acquit Limbaugh in these circumstances? And isn't it funny how liberals who oppose the death penalty look the other way when their commentators call for his assassination? And is Harris-Perry ignorant enough to believe whites are happy with the Anthony verdict? How then does she explain Casey having gone into hiding? Of course, we may be reading too much into this- perhaps it was just a weak excuse to smear Limbaugh by associating him with an alleged child killer.